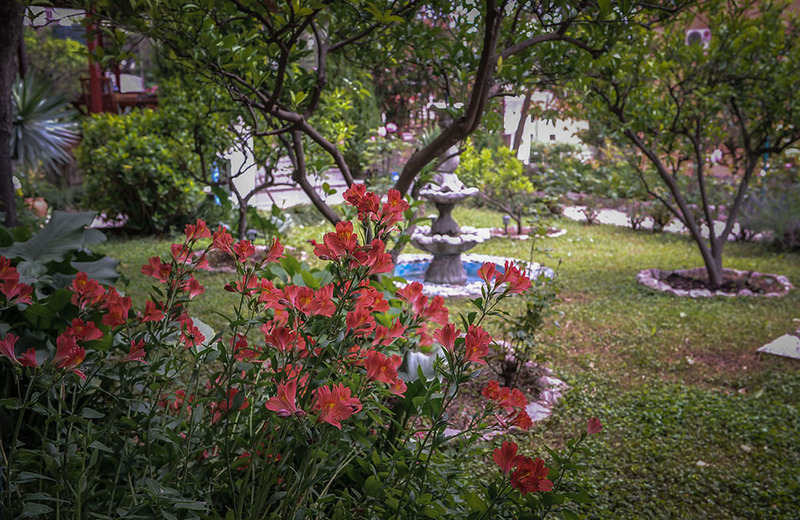 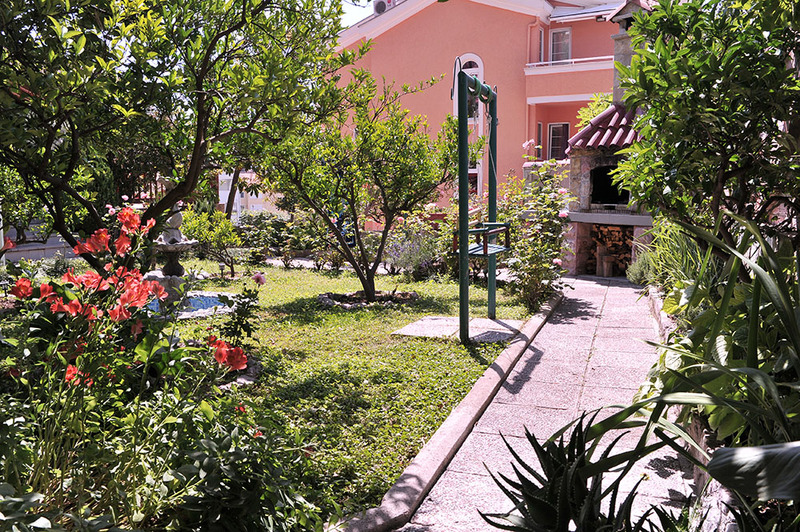 The last studio in a row on the ground floor, overlooks the rich flowery garden, fountain and swing. 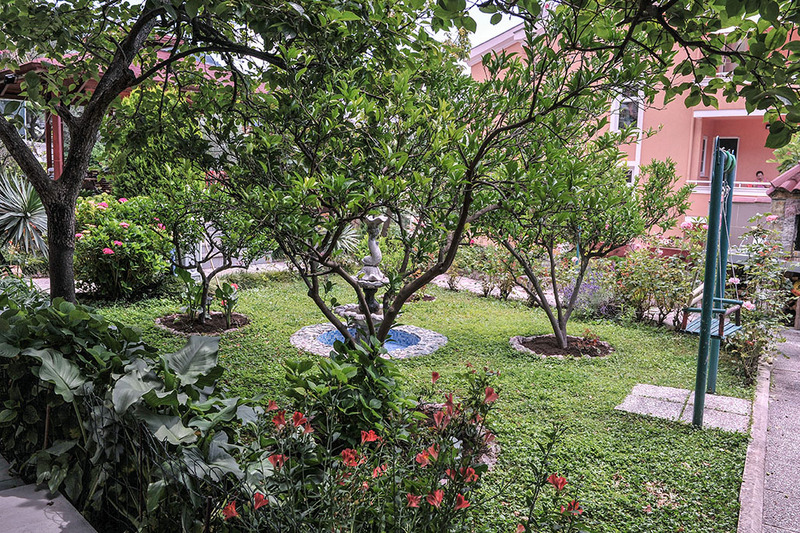 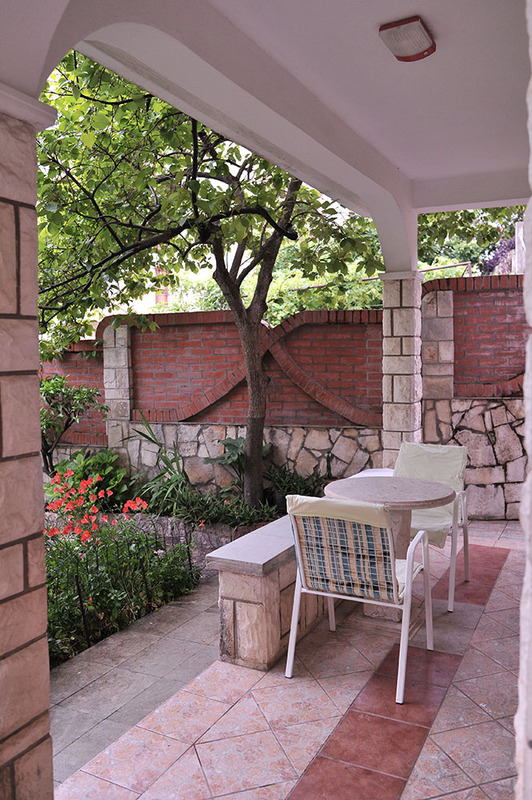 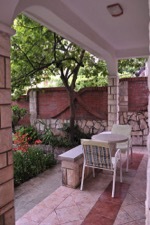 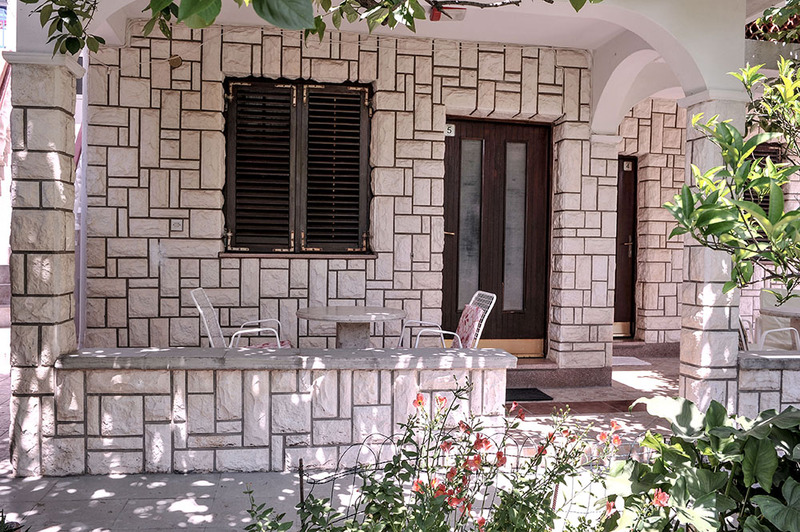 It is located in the rich shade of the persimmon tree with a small covered terrace with table and chairs. 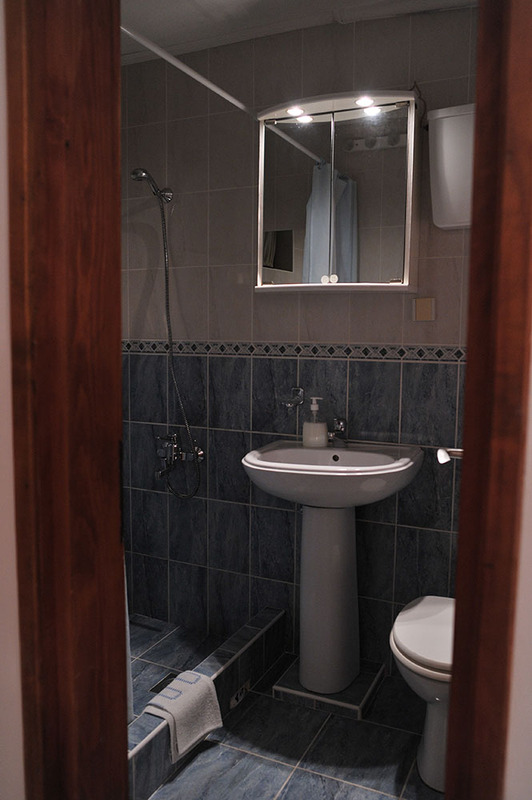 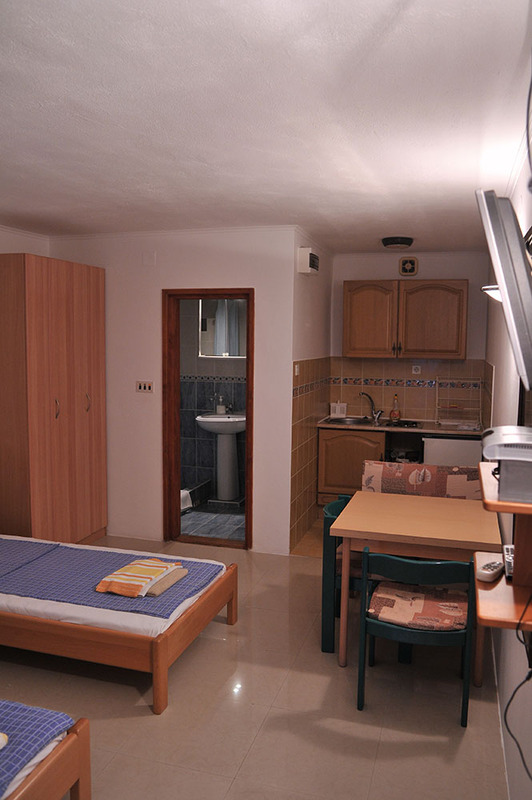 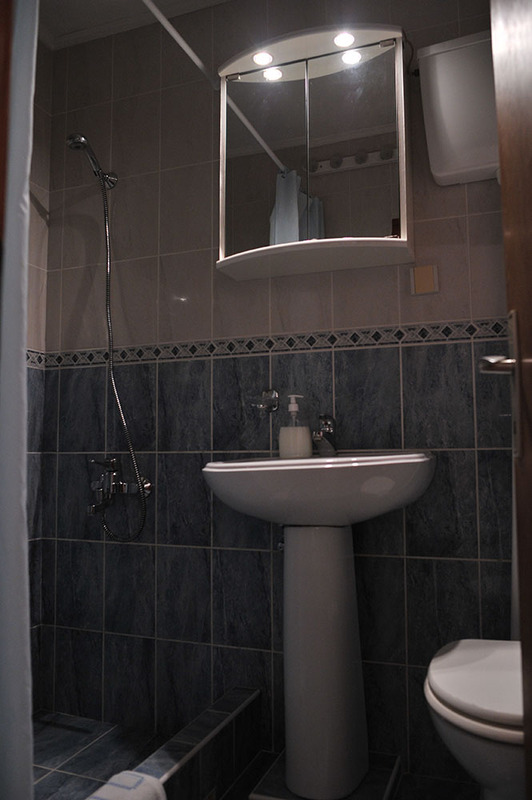 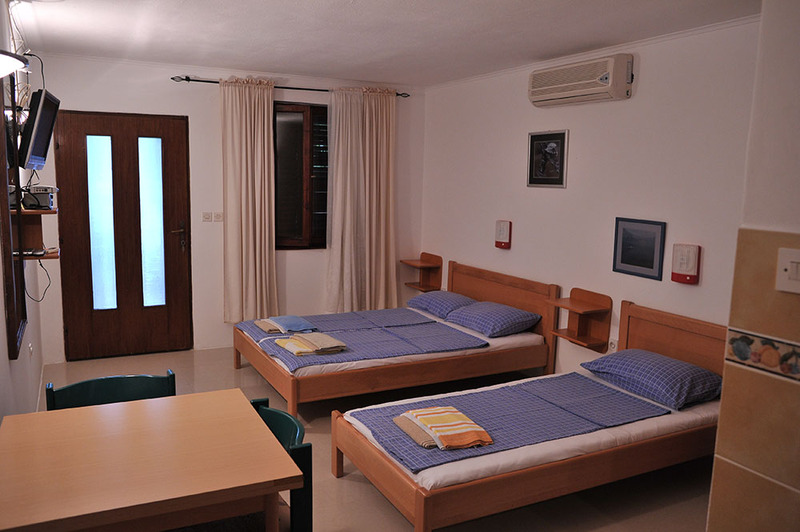 The comfortable room has a double bed and one additional bed. 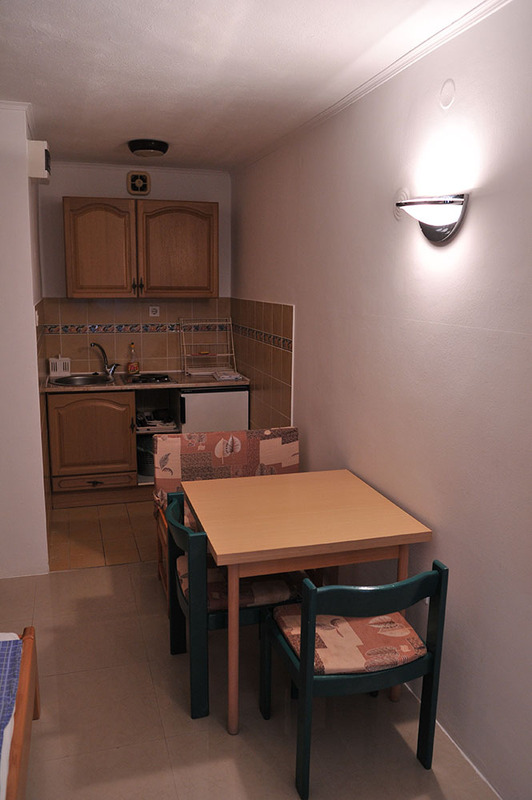 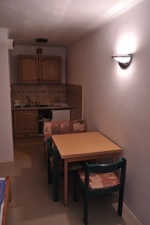 The fully equipped kitchen has a dining table. 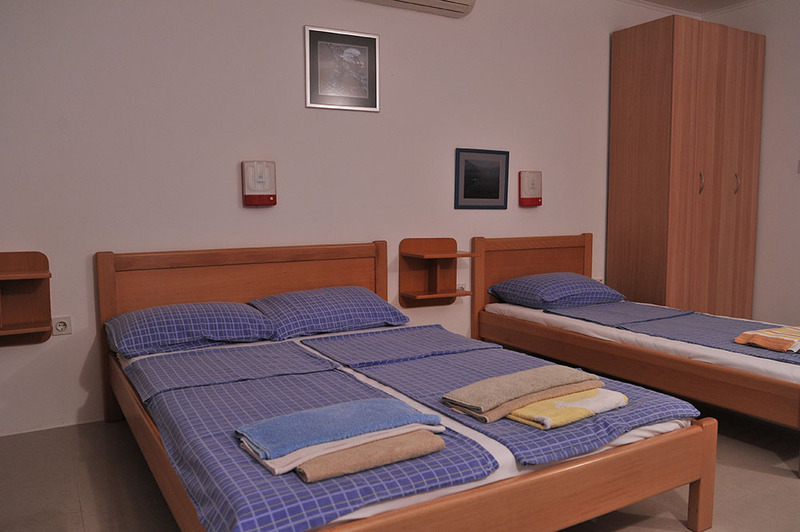 There is the possibility of the free addition of a baby crib in case of need. 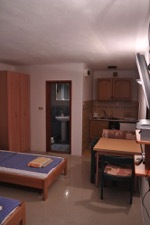 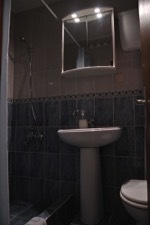 - Prices of accommmodation range from 20 euros to 90 euros per day per studio or apartment depending on whether the rental is made in pre-season or in top-season.